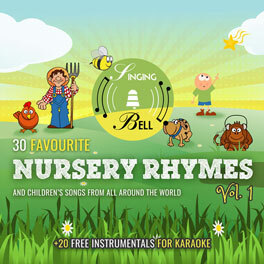 “My Bonnie Lies Over The Ocean” is a traditional Scottish folk song which remains popular in Western culture. 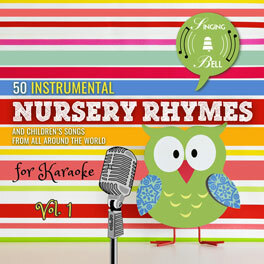 Although the song’s origin is uncertain, its subject may be Charles Edward Stuart (‘Bonnie Prince Charlie’): after the defeat of the Prince at the Battle of Culloden in 1746 and his subsequent exile, his Jacobite supporters could have sung the tune in his honour; and thanks to the ambiguity of the term “bonnie”, which can refer to a woman as well as to a man, they could pretend it was a love song. Oh, bring back my Bonnie to me, to me. Last night as I lay on my bed. I dreamt that my Bonnie was dead. And blow the winds o’er the sea. The winds have blown over the sea. 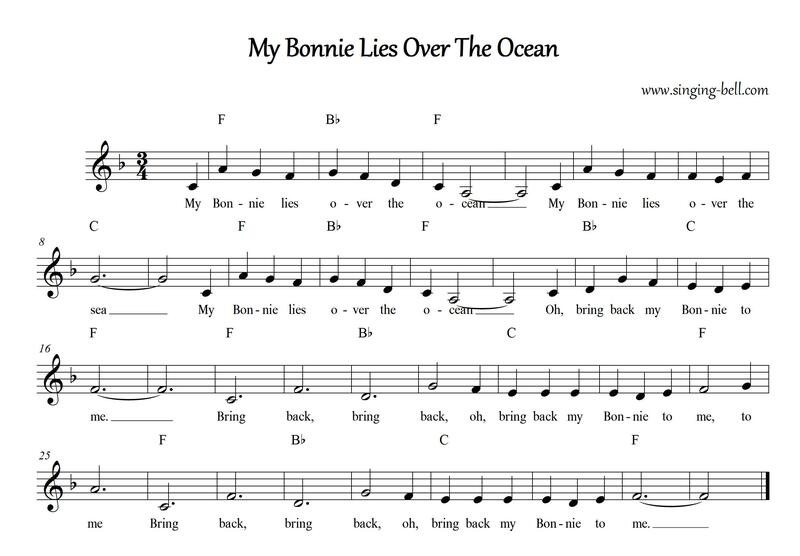 To save this free music sheet of “My Bonnie Lies Over The Ocean” to your computer, right click (or tap and hold, on mobile devices) and choose “Save Image As…”. 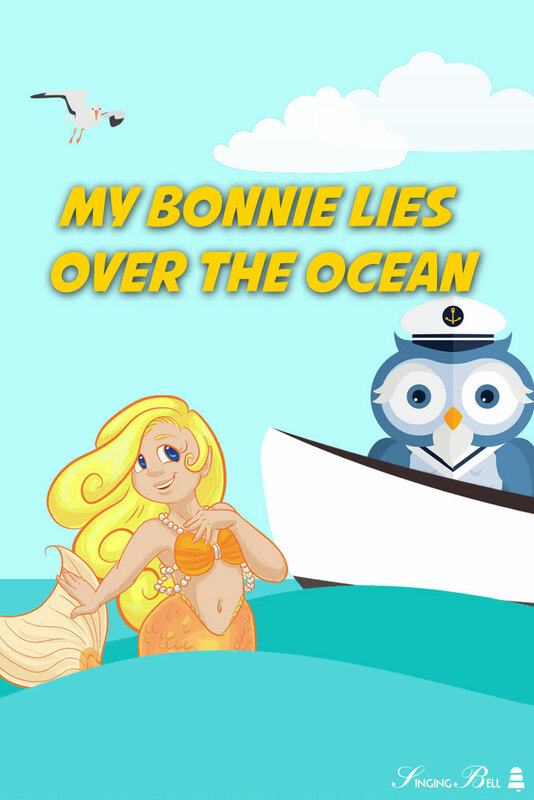 To download a ready-to-print PDF of “My Bonnie Lies Over The Ocean” for music activities with a music sheet, lyrics and a colouring sheet for kids, right click (or tap and hold, on mobile devices) on the following link, then choose “Save link as…”. 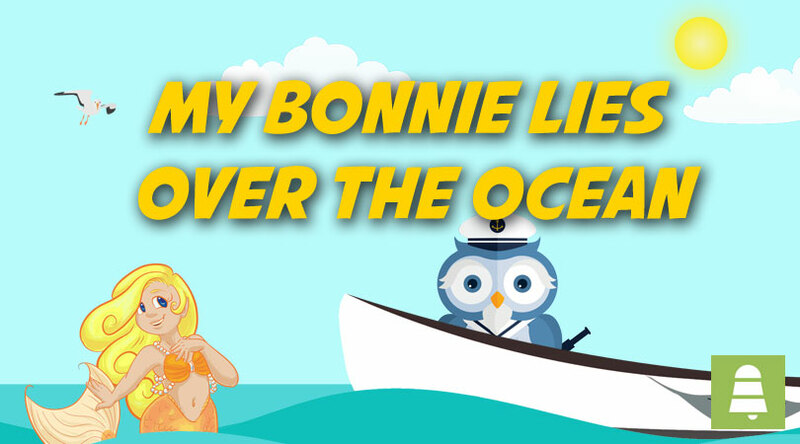 To be able to watch “My Bonnie Lies Over the Ocean” any time you’d like to on your tablet, smartphone or other mobile device, click on the following link to download the video file (mp4 format). 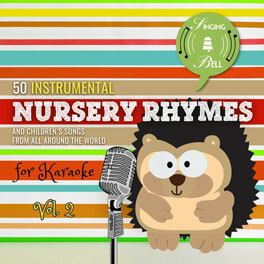 Tags: 3/4 meter, Chords: 3 chords, Folk Songs, Karaoke, Major, Scotland, U.K.